David Collins is an Emmy Award winning producer and and co owner of Scout Productions, a film and television company. He is the creator and Executive Producer of the Emmy winning Queer Eye, which launched unscripted programming on Netflix worldwide, is one of the most buzzed about shows of 2018 and is up for a 2019 GLAAD Media Award. A critical and social media phenomenon, season 3 drops in 2019. Collins led on the original Queer Eye for the Straight Guy which took home Emmys, two GLAAD Media Awards, a Producers Guild of America “Producer of Year” award amongst many others. Airing in over 120 countries with 19 original formats, Queer Eye was a vanguard contributor to the personal transformation reality boom of the past decade and a half. 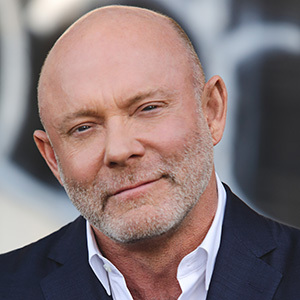 That series was created with his ground breaking “Make Better” network model of storytelling, which became the cornerstone of Bravo’s network model and inspired scores of subsequent personal improvement reality programs. Scout produces the Emmy winning Home Made Simple with Laila Ali, currently in season nine on OWN and the Oscar winning documentary The Fog of War with Errol Morris. Beyond Queer Eye, David has executive produced programs for ABC, NBC, IFC, ESPN, VH1, E!, MTV, GSN, Sundance Channel and ABC Family. Shows include How To Get The Guy, Knock First, Big Ideas for a Small Planet, and the two time Emmy Award winner Sox Appeal. Recently the company expanded into short form for the NBC Uni venture Bluprint. Ways to Sunday for Adam Bernstein. theatrical films beginning with Jodie Foster’s directorial debut Little Man Tate. Other films include Blown Away, American Buffalo, Malice, Dumb & Dumber, The Good Son, Hoffa and HouseSitter. Film. He is a member of the Director’s Guild of America and the Producers Guild of America. But more than any of this, he is most proud of his greatest productions to date: twin daughters Ella and Olive. David is represented by Nir Caspi at WME.